“Look! There is a promotion from Airasia, going to Singapore from Jakarta for free!,” I said to my friends, YR and JW, one morning at JW’s office when I visited them in Jakarta a year ago. “Are you serious? We can go to Singapore for New Year’s holiday then,” YR replied to me. “Let’s ask LG and YH, who knows they are interested to join us,” YR added. YR, JW, LG, and YH are my best friends! We came from the same town, Surabaya. We met 12 years ago and since then we have often travelled together. In the next minutes JW was on the phone with LG and LG happily accepted the offer, unfortunately YH couldn’t join this time. 11 months went so fast, we finally did our trip six weeks ago! 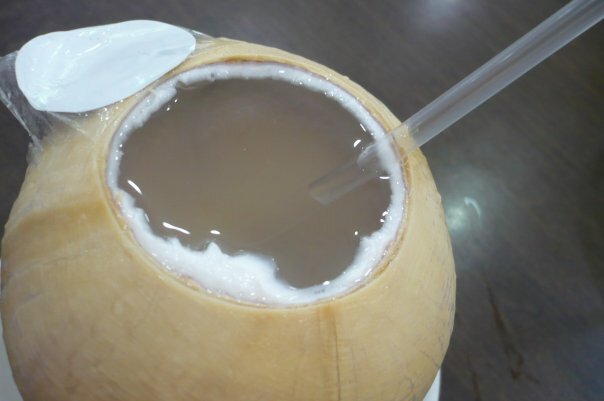 In Singapore we stayed in a very modest hotel called Fragrance Ruby, it’s a budget traveller hotel in Geylang area and you can easily book it at http://www.booking.com without paying in advance. The rate was S$55/night including tax (equivalent to USD$40) for standard room. The room was very small which only fits for maximum two people. However, the room was very clean and it has basic needs for travellers such as AC, cable TV, bathroom attached with hot and cold water, electric kettle, and a hair dryer. The neighbouring area was not so good actually, Geylang is a famous red light area in Singapore. However, these people won’t disturb you, apparently they also know how to respect tourists who stay in their area. The good thing about Fragrance Ruby Hotel is, it’s not far away from Changi Airport, it takes only 15 minutes by MRT train, one of public transportations in Singapore, and it’s only a couple of blocks away from Al Junied MRT (train) station. When we planned this trip I told YR and JW that I wanted to do culinary tour in Singapore instead of shopping. 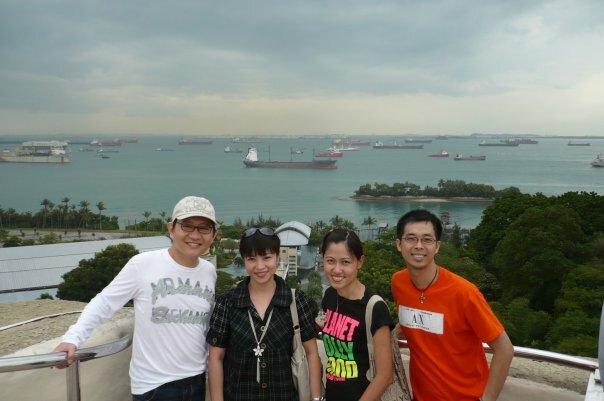 Therefore my two dear friends did their homework carefully by asking friends where to find good food in Singapore. It was not bad that we finally found some great places to eat where they served delicious food. 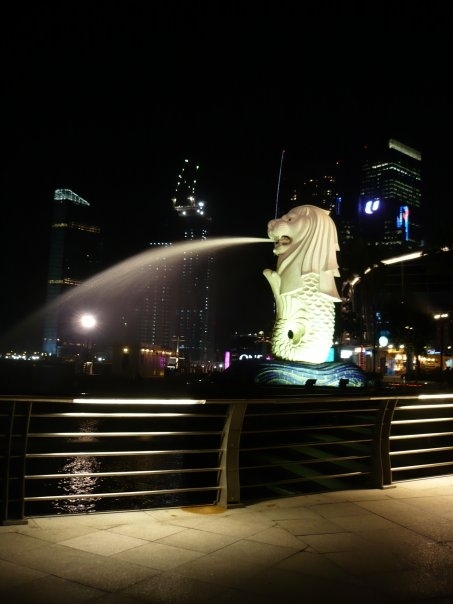 Merlion, the mascot of Singapore. Culinary tour starts on Orchard Road where we had one dollar ice cream. 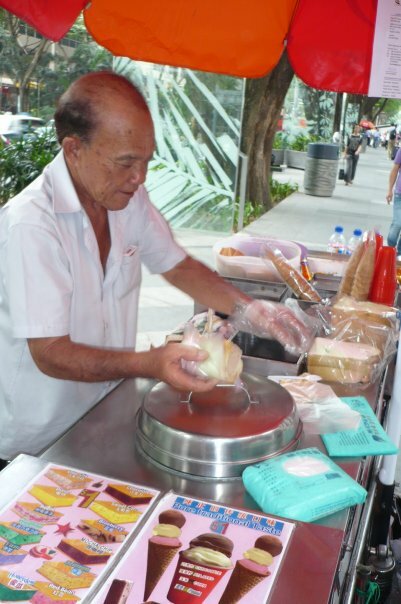 It’s only a small stall with a bicycle cart parked along Orchard Road. We usually bought the one which was parked in front of Takasimaya shopping mall. “I want strawberry this time,” that’s what I told the seller because I always had chocolate one before. 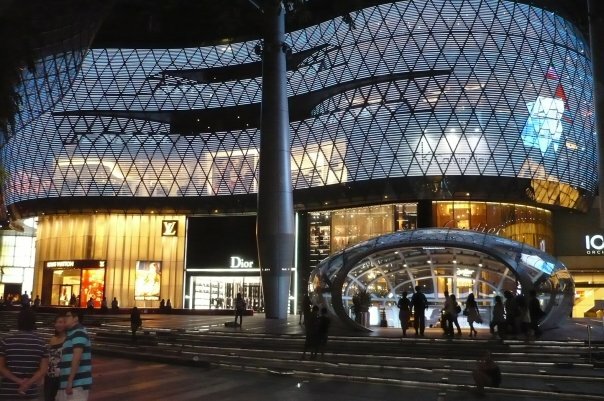 Orchard Road is the most popular part of Singapore especially to those who love shopping, it offers shopping malls from one corner to another with top designers such as Louis Vuitton, Hermes, Armani, Burberry, DKNY, Esprit, well, you name it! We visited the new shopping mall called Ion, the main entrance was designed like an ion, it was quite interesting. 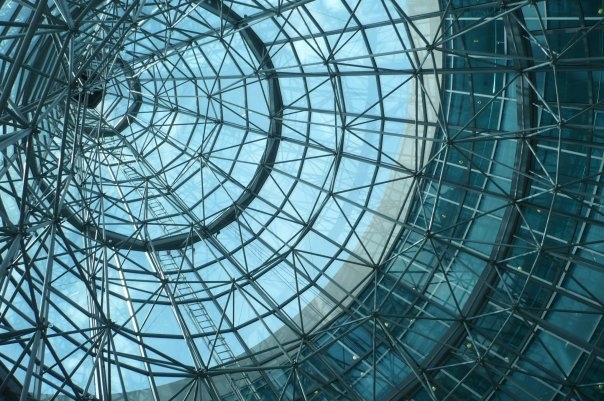 We also visited Wheelock building and I was quite amazed with its roof interior design! We started our day at 10 a.m. and we had a noodles breakfast at one of the food court right in front of Al Junied MRT station. The place was clean and the food was also not bad, we paid around S$2 for a bowl of noodles and S$1 for a bottle of mineral water. 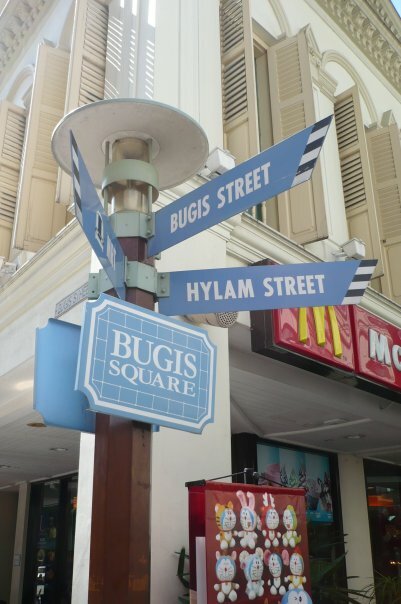 We continued our trip to another shopping area called Bugis Junction. In this area you can find one complex of shopping centre where you can find good quality Singaporean brands with reasonable price. Ok, I said that I didn’t want to shop but I ended up buying a dress, a pair of sandals, and a hair clip in Bugis Junction, I gave up! 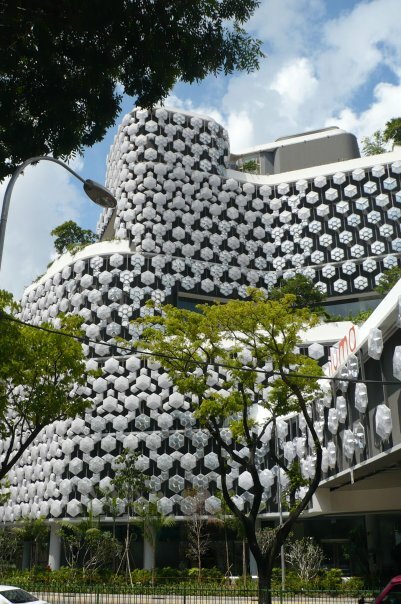 Illuma Mall in Bugis Junction, interesting building! 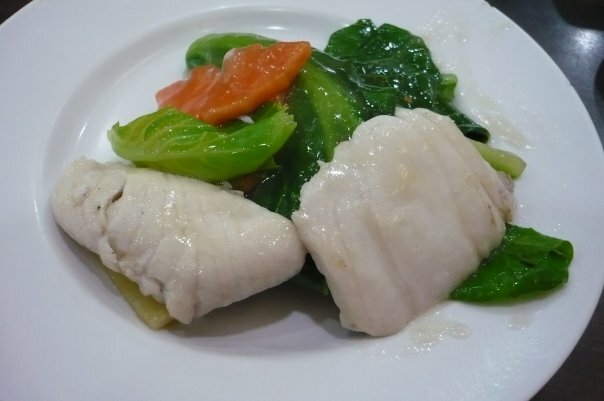 We ended our shopping spree in Bugis Junction with a very nice lunch at Xin Yuan Ji restaurant. It’s a charcoal fish head steamboat and seafood restaurant on 31 Tan Quee Lan Street which was just across the road from Bugis Junction. If you go to this restaurant you better make reservation before because when we went there we had to wait nearly 30 minutes to be seated, it was full! Aside from steam rice, we ordered fish soup, fish and baby kailan stirred with garlic, fried chicken with shrimp flavour, and fresh Thai coconut… Yummy! Each of us paid S$12 and this was considered expensive according to our budget but since we had dedicated this trip as our culinary mission so it was not a big deal. Next destination was Chinatown to buy some souvenirs. LG and I finally couldn’t help ourselves to buy some dresses there… Women!!! From Chinatown we went to Mustafa Centre to buy some chocolates to bring home. If you like chocolates, go to Mustafa Centre! It offers various brands and types of chocolates and the price is cheap too. You can take MRT to Ferrier Park and then just walk a couple of blocks from there. I also had a good deal at money changer in Mustafa Centre. They gave me a very good rate! That day the exchange rate of USD$ to S$ was USD$100 = S$136 but the money exchange in Mustafa bought my USD$100 for $138 instead! In the evening on the way back to the hotel we ended up sitting and enjoying durian, the fruit that “smells like hell but tastes like heaven,” on a small fruit stall on Geylang Street. The durian was from Sembawang, the most delicious one, we bought one for S$32. 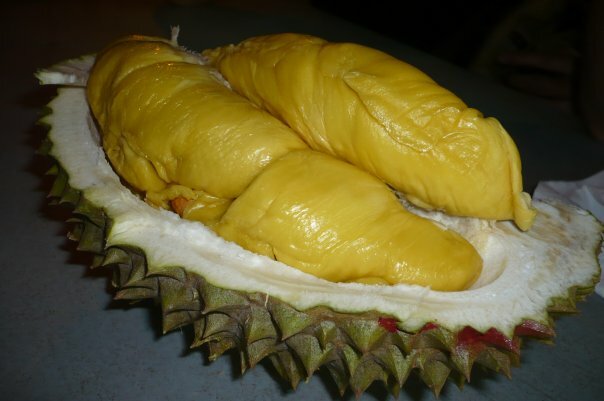 I don’t like durian but that night I was tempted to taste it and it was not bad. I couldn’t eat a lot though I felt like those durian stick on my throat till the next morning! Durian smells like hell but tastes like heaven! 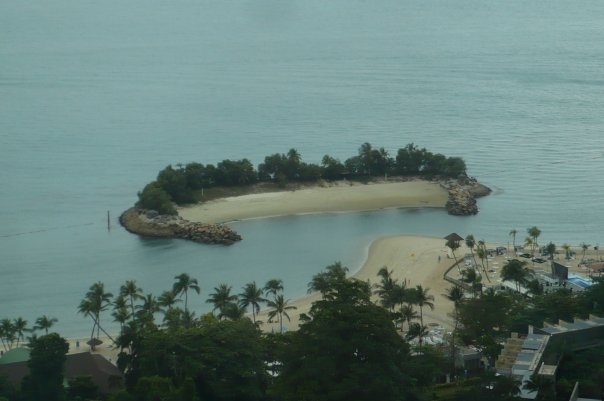 If you go to Singapore, you won’t miss Sentosa Island! 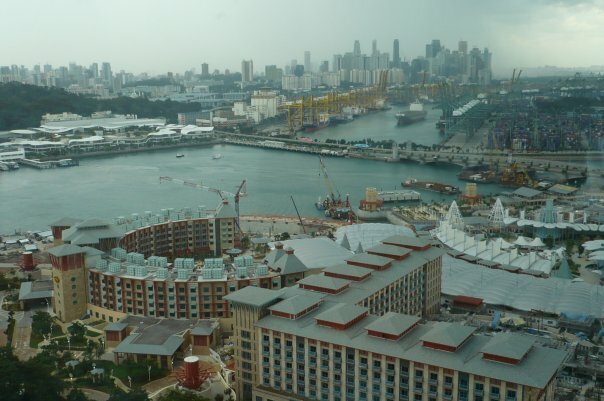 It’s the place where you can find beaches and a lot of tourist attractions in Singapore such as museums, Merlion, 4D Max Cinema, Underwater World, laser show, and dolphin show (Soon there will be Universal Studios too!). 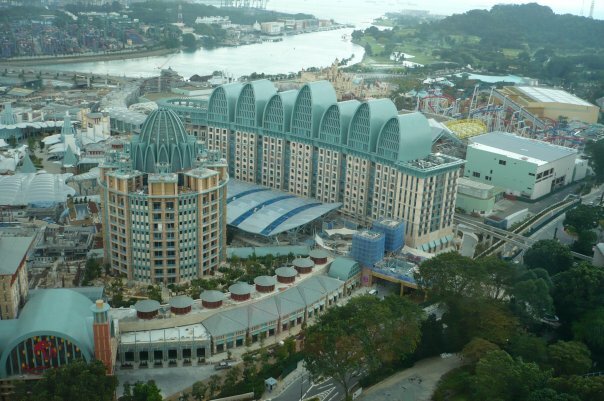 You can go to Sentosa Island either by sky car (the famous one but it was under renovation when we were there), by train, or by bus and spend the whole day in the island. We decided to take a train from Harbour Front. 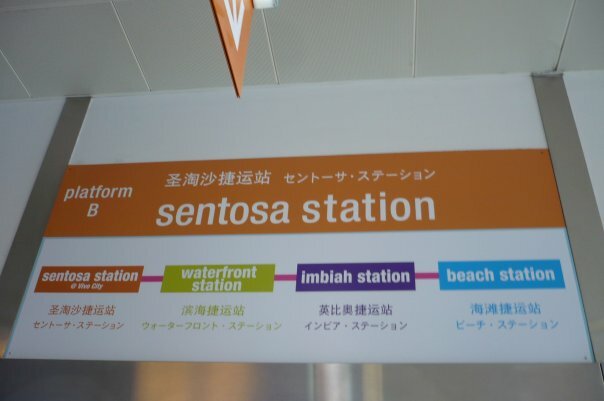 For JW, YR, and myself, Sentosa Island is not a new thing but for LG who’s the first time visitor, everything must be tried! 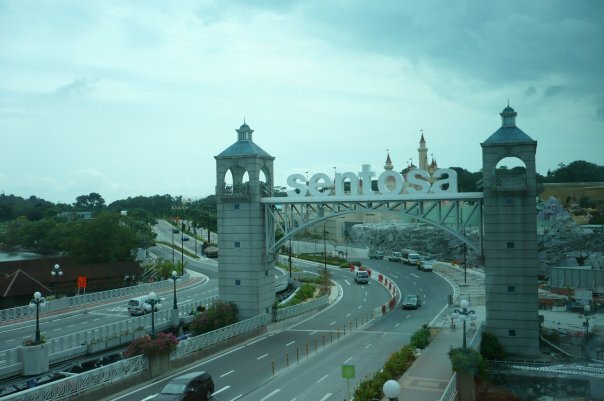 We decided to get Sentosa Choice Package S$36.90 for four attractions: The Merlion, World War II museum Fort Siloso, Tiger Sky Tower, and Sentosa 4D Magix. We had to spend additional S$3 for the train Harbour Front-Sentosa Island return, and S$10 for the Songs of the Sea laser show in the evening. Everything went perfect especially the laser show, “Songs of the Sea,” except in every attraction the official tourist photographer will take you a picture and then sell it between S$15 to S$20! In the evening we went to Clarke Quay area where the night life in Singapore is. I met a friend whom I knew virtually, AS, and we all had some drinks and enjoyed the night at one of the cafés there. 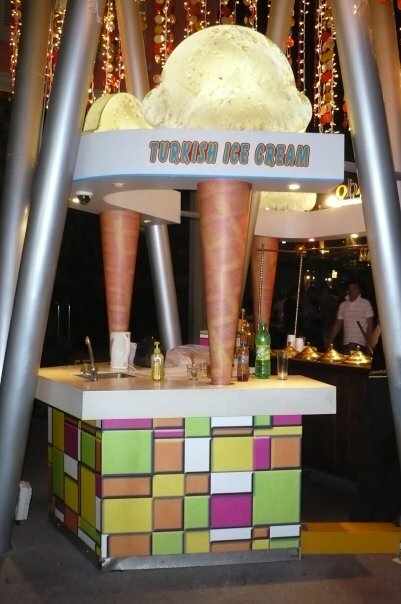 YR’s friend once told us to find Turkish Ice Cream in Clarke Quay and we found it, it was a small stall and the seller was a very funny Turkish man. He would pretend to drop your ice cream on your shirt and YR was wearing white shirt that night so he was a little bit worry that the man would drop his S$3 ice cream on his shirt. 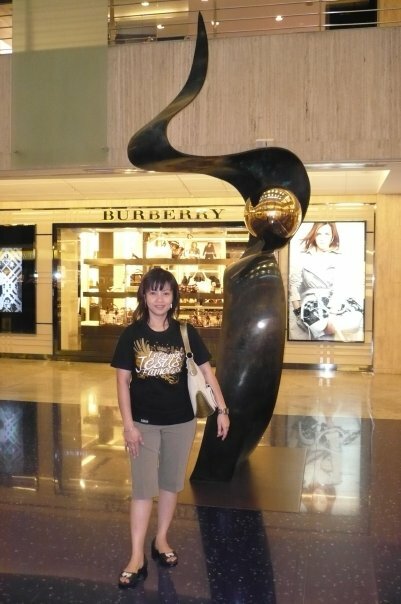 We went to Marina Square where another area of shopping centre in Singapore is. 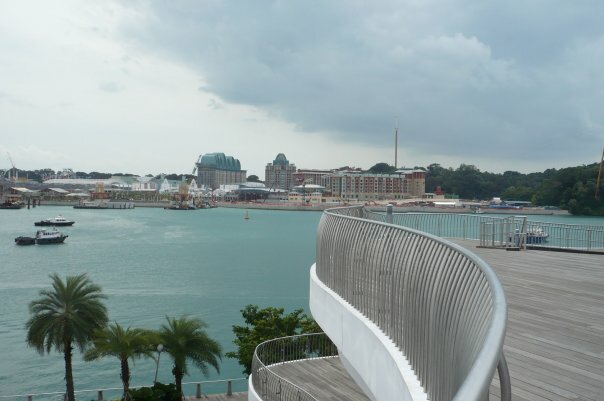 In Marina you can find three big shopping malls are attached to each other. 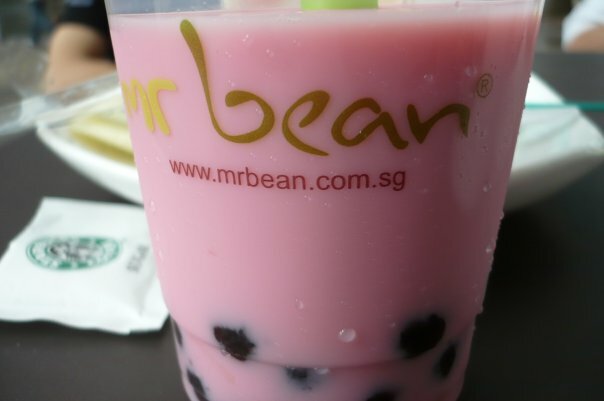 We had Mr. Bean soya milk and coffee at Starbucks in Raffles City as our breakfast. As part of culinary tour, we didn’t miss the Indonesian restaurant “Ayam Penyet Ria” (smashed fried chicken mixed in chilli paste) in Lucky Plaza on Orchard Road, and chocolate fondue’s “Max Brenner” in Esplanade, the biggest art centre building in Singapore whose roof looks like durian. 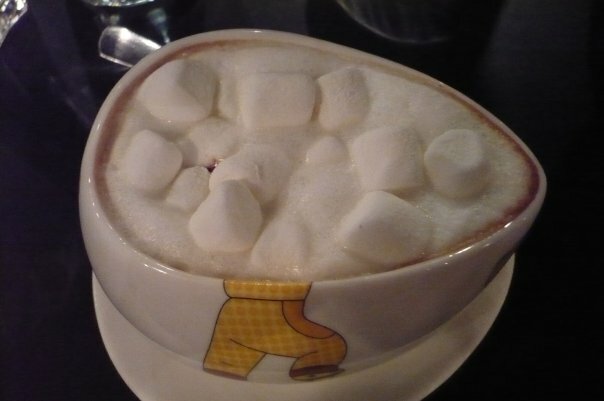 I ordered hot chocolate marshmallow while the others had various chocolate fondue such as dark chocolate and tiramisu. We also met one of our old friends, SK, whom we hadn’t met each other for nearly eight years I guess. 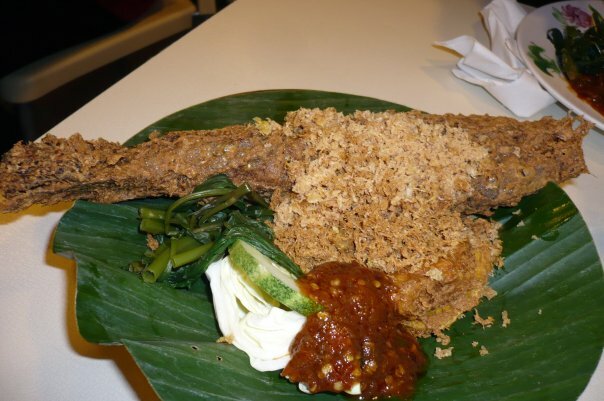 Fried fish served with fresh vegetables and chilli paste... Very Indonesia! 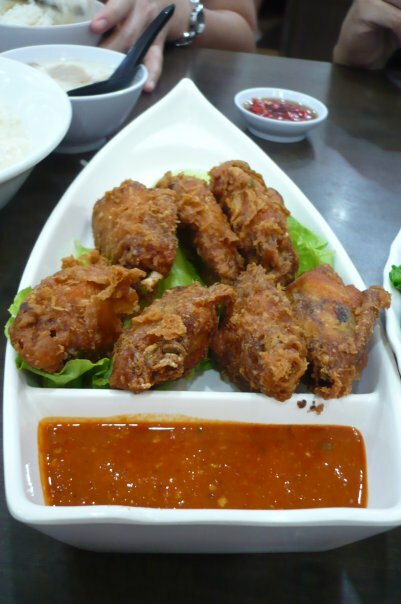 Our flight to return to Jakarta was in the evening so we still had enough time to continue our culinary spree. We catch up MRT to Novena to go to the famous Founder Bai Kut Teh Restaurant on 347 Balestier Road. As soon as we arrived in Novena we crossed the street and took bus# 21. We then stopped at Shawn Plaza and the restaurant lies right across the street. 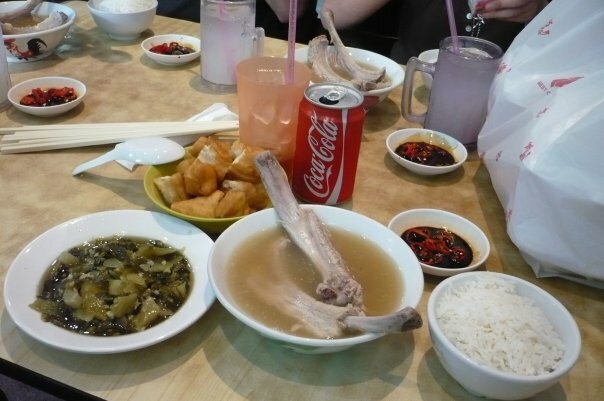 A full set meal of Bai Kut Teh... Minus Coca-Cola though! Bai Kut Teh is a Chinese soup originally from Klang, Malaysia, I have never had Bai Kut Teh in Malaysia but I bet it must be very delicious like the one I had at Founder Bai Kut Teh Restaurant. The price was reasonable, it was S$10 for the full set meal including the pork ribs soup, stirred vegetable, fried bread, and steam rice. If you are a pork lover, I suggest you don’t miss this one out of your itinerary in Singapore, it’s a must try!!! I have 3 jobs, 4 kids, an ex husband, a loan to the bank, and so many days left till the next payday, but even so my 5 minutes of free time…I spend it daily on nice online reads and until now you never disappointed me. I’m greatful for sweetening my daily routine. Yeah, unpleasant times but everyone remember that we need fun also in our lives. Could you kindly translate your website into German as I’m not that comfortable reading it in English? I’m getting tired of using Google Translate all the time, there is a cool WP plugin called like global translator which will translate all your pages by default- that would make reading articleson your great blog even more cosy. Cheers dude, Healthy Recipes! Just looking at your post on my new iPhone , and I wanted to see if it would allow me reply or if it made me go to a pc to do that. Ill check back later to see if it worked. Nice blog entry. I heart Singapore. 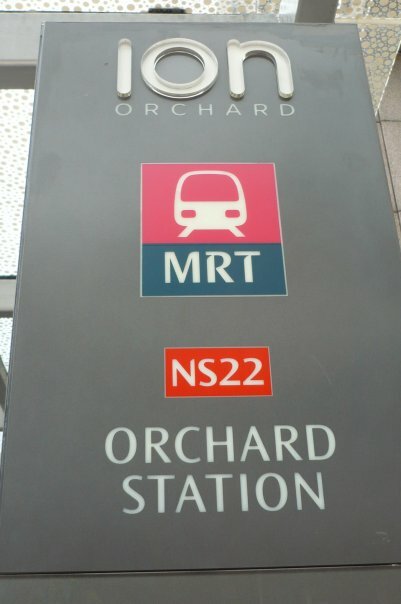 I miss living there, walking around in Orchard Road, going in and out air conditioned buildings and squeezing in with thousands of people in MRT. Thanks for taking the top out to write this interesting post. thanks now I want to go to Singapore and not come back! I need to visit and eat and eat and take pictures!